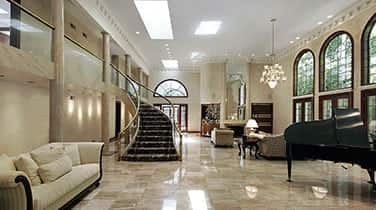 Schedule Commercial Marble Cleaning in Broward and make the most of your inherently beautiful stone surfaces. When the marble surfaces around your business shine, the value and sophistication of your commercial image will benefit. Let your guests, customers, clients, and visitors appreciate the unique atmosphere created by beautifully preserved marble walls, floors, countertops, fountains, benches, stairways, and other decorative surfaces and objects shine with the natural luster and brilliance of this unique material. AAA Marble Care is a family owned and operated business with many satisfied clients in South Florida. We are licensed, bonded, and insured to deliver a high standard of comprehensive natural stone care service, based on your unique needs. Call today for a FREE consultation to ask about our cost-effective rates for cleaning, crack repair, polishing, refinishing, sealing, and more. 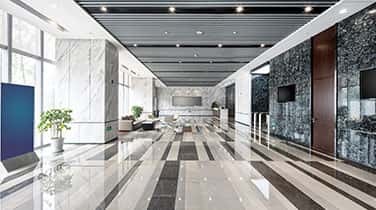 In hotel lobbies, up-scale condos, hospitals, office buildings, restaurants, and even nightclubs, there may be marble surfaces which have been long neglected. 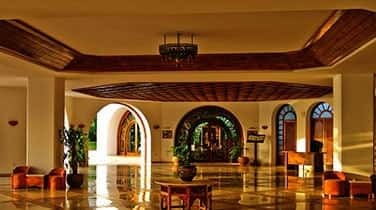 Maintaining marble floors can be difficult when heavy foot traffic is frequent, resulting in dullness and faded colors. Often, our clients are surprised to discover the true beauty and vivid colors hiding under the discoloration. 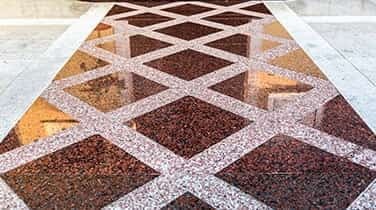 Our experienced team of professional natural stone care specialists can be trusted to determine the right products and precision tools needed to restore the shine to your marble. We can also repair deep scratches, cracks, and penetrating gouges. Etching can be a result of acid or vinegar and will harm the value of your marble. Call AAA Marble Care for commercial marble cleaning in Broward you can count on to erase etching, stains, haze, and other undesirable marks. All of our work is guaranteed!